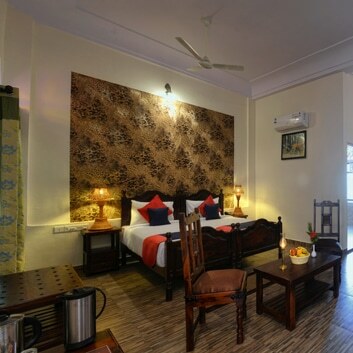 Ranthambhore Heritage Haveli has on its offer the most elegant rooms that have been simply designed so that you can enjoy a combination of comfort and convenience at one place. All deluxe rooms offer remarkable amenities that come with kings sized double bed or twin beds with fully linen, and a large bathroom with a separate rain shower. The Rooms have closed window that overlooks the mountains and green fields.